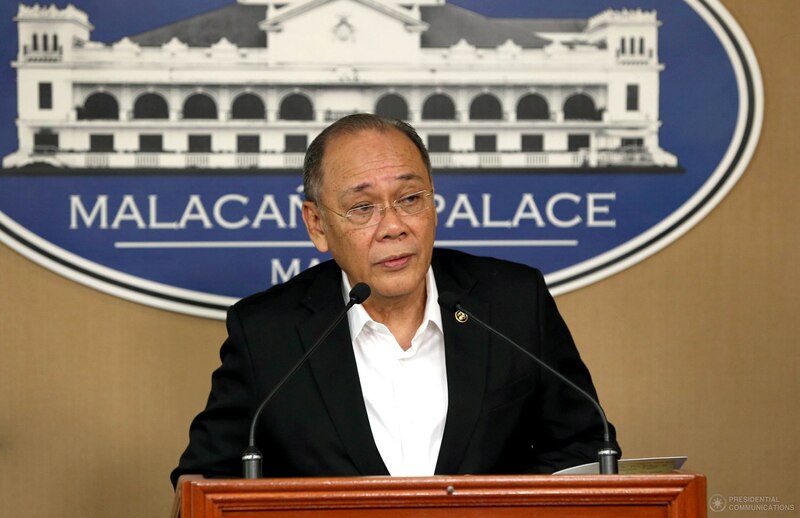 MANILA, July 21 -- Malacañan on Friday said the Duterte administration remains committed to peace but will not tolerate armed groups that undertake terroristic acts against government soldiers and civilians. Speaking during the Mindanao Hour press briefing, National Security Adviser Hermogenes Esperon, Jr. pointed out that more needs to be done, especially in addressing the threats in Mindanao. “There are real threats to Mindanao. We have armed groups consisting of the New People’s Army. We have armed groups consisting of the BIFF. We have armed groups consisting of the Abu Sayyaf Group, who in fact, some of these would now want to pledge their allegiance to the ISIS,” Esperon said. “And there are still imminent threats. What are these? The imminent threat would be fighters, foreign fighters -- foreign ISIS fighters who could, in fact, be coming in and joining the ISIS lineup here in Mindanao,” he said. Esperon said that while there are real and imminent threats in Mindanao, government forces will also not allow other terroristic acts to civilians by the New People’s Army. “Papabayaan ba nating manunog? Papabayaan mo bang manabas? May kailangan gampanan ang Armed Forces at ang Philippine National Police. Otherwise, kung papabayaan mo ‘yun, eh ‘di ano ang silbi ng inyong Armed Forces at tsaka Philippine National Police, and government itself,” he said. The National Security Adviser, meanwhile, said that President Duterte is not obsessed with martial law but with good governance, developing Mindanao, and serving the people. Esperon, who was with the President in his visit to Marawi last Thursday, said the operations in Marawi are still on full blast. “We expect a slower advance but nonetheless, our troops are determined and they have learned so much from the past experiences,” he said. During the Marawi visit, Esperon said President Duterte expressed his appreciation to the troops and to the commanders. “The President was able to give the commanders on the ground the way ahead, what he expects to do, what he expects of the troops but he is very positive that we will be able to take Marawi in a few more days and start right off with the reconstruction and rehabilitation,” he said. In the same briefing, meanwhile, Presidential spokesperson Ernesto Abella said President Duterte has set an enabling environment for peace and progress in Mindanao. “Let me just quote about [Socio-economic Planning] Secretary [Ernesto] Pernia’s comment regarding supposed criticisms regarding their fear of what would happen in Mindanao, about the business environment… business people are quite happy in Mindanao, in fact, welcome the situation of martial law in Mindanao,” he said. The Palace official also said that President Duterte’s administration is best judged by the Filipino people themselves. “As far as we know, as the President would say, the real judge of the actions of the administration would be not so much these opinions, but people actually. The people of the Philippines, the citizens here who find that it’s safer in the streets, the crime index has dropped,” Abella said.